Added new commands /lm mobevent enable/disable random which will specifically enable/disable random events but not scheduled ones or ones started via commands. Added a new FISHING spawn type! Yup, now when you real in a catch, you may get a lot more than you bragained for! Configs will need to be manually cleared or updated with the FISHING type for this to work. The default mobs that spawn from this are: Silex, Abtu, Lacedon and Roa. Added the Shadow Clown skin to the Grue, these will spawn on halloween and Grues with the name "Shadow Clown" will use this skin. Refined AI targeting to match vanilla Minecraft in order to increase performance. Improved melee attack range calculations, large mobs like the Crusk should now once again be able to actually attack! Added wrappers for DataManager calls, this should hopefully stop the casting crashes for clients on servers. The 'Disable All Spawning' config setting should now work correctly, all the custom spawners were ignoring this! The size of each mob can now be scaled, the hitbox will scale with this and can still be scaled again with the hitbox scale config if needed. The natural spawning of a mob's subspecies can now be disabled per-mob via the spawning configs. The Ent's model and texture has been improved! The Ventoraptors and Uvaraptors now have deadly sickle claws! Killing mobs now has 10% (configurable) to add it to the Beastiary, bosses have a 100% chance. The chance of a Crusk or Serpix spawning as a baby is now 25% up from 10%, these can only be tamed as babies. The upcoming Gorger will also follow this. Vespids (non-queens) will no longer attack Conbas leaving them for their queen to infect and Conbas should never attack Vespids, they're too afraid! Scepters now deal double damage to anything that isn't another player and have 4X increased durability. Rahovart and Asmodeus should now be more effective at sending Nether Souls to high flying players and will no longer take damage from high flying players. Fixed a bug where mobs would sometimes spin around when attacking, this doesn't fix the spinning bug caused by base Minecraft pathing. Fixed a bug where mobs that pickup other mobs/players weren't always successful. Fixed a bug where players were inside of mobs that had picked them up instead of hanging from the pickup point. Improved Lacedon/Dweller swimming, still a bit buggy at water surface, fine underwater and on land. Alpha Makas now receive double damage from each other when fighting. Baby mobs should show Baby in their name again. Familiars should now spawn in correctly when rejoining a world. Named pets now only show their given name instead of their name along with their owners name and species name. Buckets of Pure Lava and Ooze should now dispense properly. Fixed seasonal mobs skins not being applied. ============================================================ Lycanites Mobs Update: Whirlpool - Version 1.16.2.2 for Minecraft 1.11.2 Configs older than 1.14.2.2 will be reset. ============================================================ -------------------- New Features: -------------------- Added new commands /lm mobevent enable/disable random which will specifically enable/disable random events but not scheduled ones or ones started via commands. Added a new FISHING spawn type! Yup, now when you real in a catch, you may get a lot more than you bragained for! Configs will need to be manually cleared or updated with the FISHING type for this to work. The default mobs that spawn from this are: Silex, Abtu, Lacedon and Roa. Added the Shadow Clown skin to the Grue, these will spawn on halloween and Grues with the name "Shadow Clown" will use this skin. -------------------- Major Fixes: -------------------- Refined AI targeting to match vanilla Minecraft in order to increase performance. Improved melee attack range calculations, large mobs like the Crusk should now once again be able to actually attack! Added wrappers for DataManager calls, this should hopefully stop the casting crashes for clients on servers. The 'Disable All Spawning' config setting should now work correctly, all the custom spawners were ignoring this! -------------------- Config Changes: -------------------- The size of each mob can now be scaled, the hitbox will scale with this and can still be scaled again with the hitbox scale config if needed. The natural spawning of a mob's subspecies can now be disabled per-mob via the spawning configs. 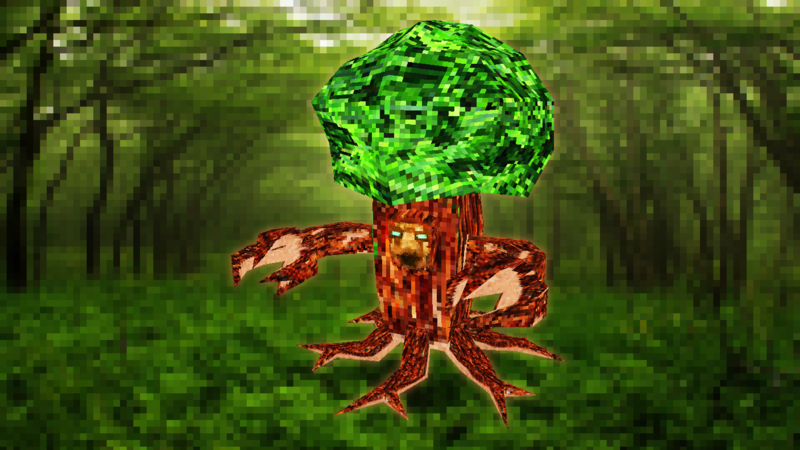 -------------------- Changes: -------------------- The Ent's model and texture has been improved! The Ventoraptors and Uvaraptors now have deadly sickle claws! Killing mobs now has 10% (configurable) to add it to the Beastiary, bosses have a 100% chance. The chance of a Crusk or Serpix spawning as a baby is now 25% up from 10%, these can only be tamed as babies. The upcoming Gorger will also follow this. Vespids (non-queens) will no longer attack Conbas leaving them for their queen to infect and Conbas should never attack Vespids, they're too afraid! -------------------- Balancing: -------------------- Scepters now deal double damage to anything that isn't another player and have 4X increased durability. Rahovart and Asmodeus should now be more effective at sending Nether Souls to high flying players and will no longer take damage from high flying players. -------------------- Minor Fixes: -------------------- Fixed a bug where mobs would sometimes spin around when attacking, this doesn't fix the spinning bug caused by base Minecraft pathing. Fixed a bug where mobs that pickup other mobs/players weren't always successful. Fixed a bug where players were inside of mobs that had picked them up instead of hanging from the pickup point. Improved Lacedon/Dweller swimming, still a bit buggy at water surface, fine underwater and on land. Alpha Makas now receive double damage from each other when fighting. Baby mobs should show Baby in their name again. Familiars should now spawn in correctly when rejoining a world. Named pets now only show their given name instead of their name along with their owners name and species name. Buckets of Pure Lava and Ooze should now dispense properly. Fixed seasonal mobs skins not being applied.